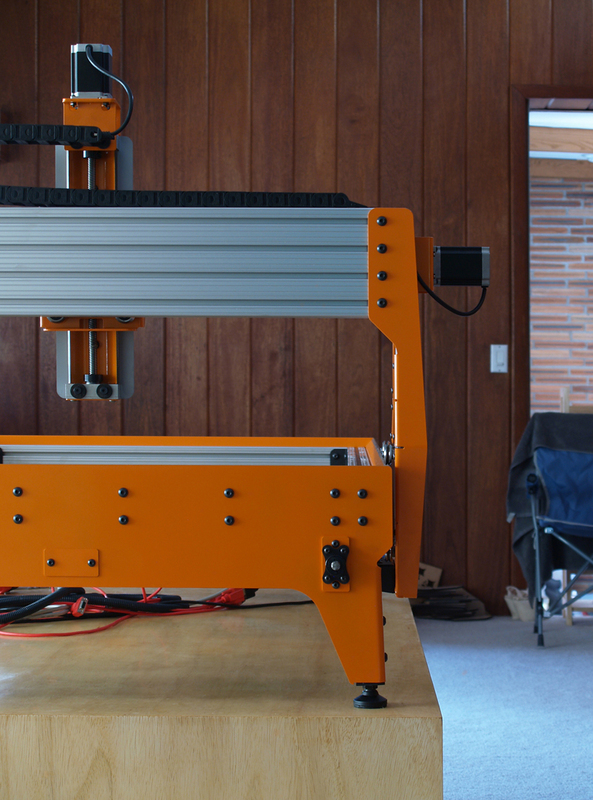 CNC Router Parts has teamed up with Grunblau Design to offer a parts bundle for Brian Oltrogge's Platform CNC 48" x 30" router! We now offer a version of this parts bundle that includes all of the hardware previously sourced from McMaster Carr to make this kit even easier to purchase. Please note, this is NOT a complete kit -- you will need to purchase the Grunblau parts bundle as well -- more information on this below. When Brian set out to design the Platform CNC, he wanted to make a simple bolt together machine with an elegant solution for linear motion. 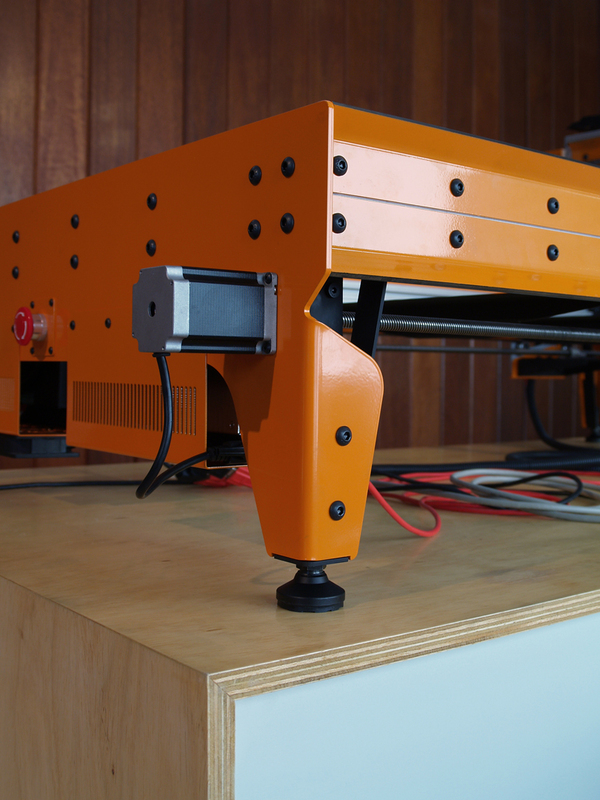 He turned to us for many of the mechanical components, as well as our 4-Axis stepper kit for the electronics. CNC Router Parts is also able to offer all of the required aluminum extrusions already cut to length and tapped for easy assembly in this kit. 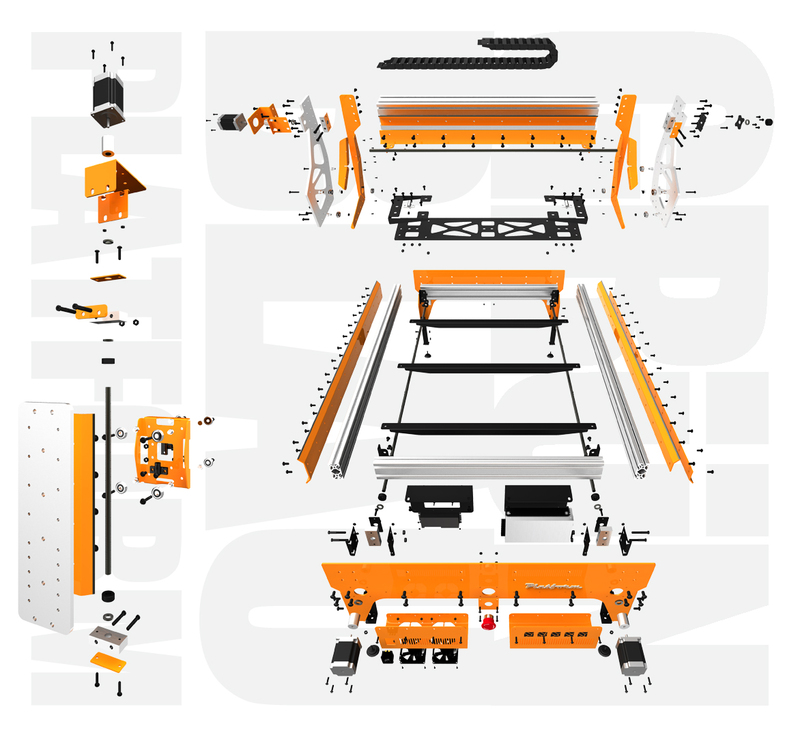 With the components included in this bundle, the fabricated steel and aluminum kit from Grunblau, and additional hardware available either from McMaster Carr or from us, you can build a robust, 30” X 48” dual drive machine. For more information on this kit and its development, check out the CNC Zone Build Thread where it all started! For information on what's included in the "Basic Hardware Kit" vs. "Complete Hardware Kit" please see our description of what's included above. This product was added to our catalog on November 26, 2012.